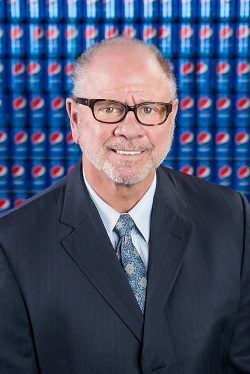 James C. Lee, III, “Jimmy,” currently serves as Chairman of the Board & CEO of the Buffalo Rock Company, one of the largest privately-held, single-family owned Pepsi-Cola franchises in the United States. Jimmy is the fourth generation Lee to take over the business. Sidney W. Lee, great-grandfather of James C. Lee, III, moved the company business to Birmingham in 1888 and Jimmy continues those operations today. Buffalo Rock began in 1901 and currently employs over 2,100 employees in fourteen different locations of Alabama, Georgia and Florida. Serving a total population base of over 7,000,000, the company provides wholesale beverage and snack sales, full-line vending and catering services. Buffalo Rock Company currently sells Pepsi, Mtn Dew, Aquafina, Dr. Pepper, Sunkist, Grapico, Buffalo Rock Ginger Ale, Sunfresh Beverages flavors, Canada Dry, Gatorade, Fruit Shoot, Maxwell House, Lipton, Sobe, Amp and Rockstar. Jimmy began his career with Buffalo Rock Company, working summers, at the early age of 12. After graduating from Auburn University in 1970, he spent one year working with Pepsi-Cola Company. He then came to work for Buffalo Rock Company on a full time basis in 1971. As a Birmingham resident and a fourth generation Lee, he concentrates his efforts toward community involvement. With his encouragement and support, Buffalo Rock makes significant contributions to the community through sponsorship of charitable events, including donations of time, services and product. One long-term civic project with which Jimmy devotes a significant amount of his time is Bent Brook Golf Course. As a facility open to the public, it was the first privately-owned public course in Birmingham that offers Metropolitan Birmingham residents another alternative for public golf. In the fall of 2015, Jimmy was into the Alabama Business Hall of Fame and he received Auburn University’s Jefferson County Distinguished Alumnus of the Year. He was the recipient of the 2013 Alabama Newcomen Award and was named the 2011 March of Dimes Citizen of the Year. He is currently Director of the Birmingham Business Alliance, Past Chairman of the Board of Children’s Hospital of Alabama Past President and Current Member of the Alabama Beverage Association, Past Board Member of the American Beverage Association, Past President of the Vestavia Park Foundation, Past President of Children’s Hospital Foundation Board, and Past President of the Auburn University Athletic Development Council.